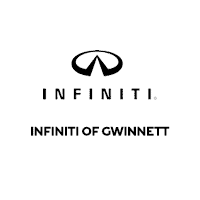 At INFINITI of Gwinnett, our highly qualified technicians are here to provide exceptional service in a timely manner. From oil changes to transmission replacements, we are dedicated to maintaining top tier customer service, for both new and pre-owned car buyers! Allow our staff to demonstrate our commitment to excellence. Need easy, reliable, affordable service for your INFINITI? Come to INFINITI of Gwinnett and schedule a service appointment. We pride ourselves on certified technicians and genuine INFINITI parts that provide the best INFINITI service Atlanta, GA can find. Our highly qualified technicians are here to provide exceptional service in a timely manner. INFINITI of Gwinnett schedule a service appointment makes it simple to keep your car running at its top performance. INFINITI scheduled maintenance at all levels of mileage, even on pre-owned INFINITI and late model vehicles. Keep your car’s value intact, even outside warranty with INFINITI scheduled maintenance, and rely on INFINITI of Gwinnett service to keep your vehicle in shape. Allow our staff to demonstrate our commitment to excellence.